International Journal of Research in Health Sciences,2015,3,1,109-113. 1-Lecturer, Department of Orthopaedics, Hinduhridaysamrat Balasaheb Thackeray Trauma Care Hospital, Jogeshwari, Mumbai, Maharashtra, INDIA. 2-Registrar, Department of Orthopaedics, Hinduhridaysamrat Balasaheb Thackeray Trauma Care Hospital, Jogeshwari, Mumbai, Maharashtra, INDIA. Introduction: Approximately 8% to 9% of all scapular fractures involve the acromion. 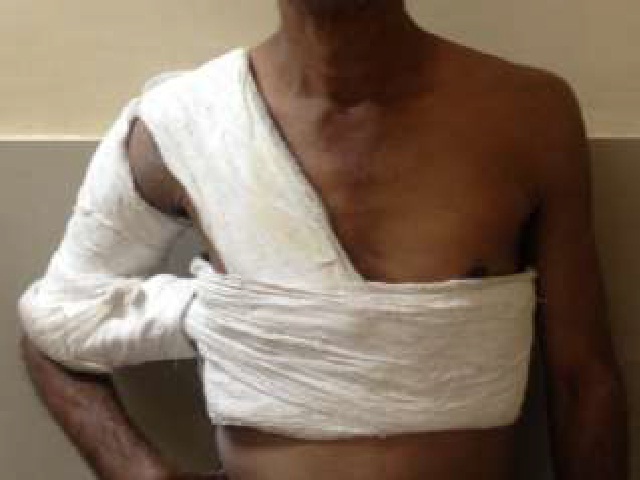 Most nondisplaced acromion fractures are successfully treated simply by immobilization with a sling or Velpeau dressing until the pain has subsided, which is usually within 3 weeks. But there are reports of displacement following conservative management. The results of delayed reconstruction for a displaced fracture have been poorer than early reconstruction. We have used a shoulder spica with shoulder in 30o-45o of abduction to prevent further displacement of an undisplaced fracture. Aim: To analyze the outcomes of the non-operative management using shoulder spica. Materials and Methods: 13 patients of acromion fractures were treated conservatively between June 2014 to January 2015 with 3 months of follow- up. Fractures were classified according to Kuhn et al. The classification system for acromion fractures is based on displacement and invasion of the subacromial space. All patients were followed up weekly for 4 weeks then at 8 wks and 3 months. Local examination, shoulder movements were assessed and check x-rays were done at each visit. The UCLA Shoulder Scoring System was used to evaluate the patients on follow-up. Result: Our study showed statistically significantly better prevention of displacement and union time in those given shoulder spica than existing studies on non-operative management. Displacement was seen in only 1 case (0.07%). Conclusion: Our study concludes that Shoulder Spica application significantly reduces the chance of displacement in an undisplaced acromion fracture thus preventing a surgical intervention.